Vanessa and Angela Simmons give us Pastry! Daughters of Run 1980’s Rap icons (Run- D.M.C ) Vanessa and Angela Simmons, also family to Russell Simmons and former MTV reality stars of “Run’s House” are the entrepreneurs in latest shoe apparel sensation Pastry Kicks. These celebrity sisters team up to forward the trendiest youth spirited line of shoes, clothing and handbags for the most fashion conscious generation. Fashion diva Vanessa Simmons has recently premiered her private, “Rose by Vanessa Jean” swimwear collection at Mercedes Benz Fashion Week Miami this past July 22nd to her most exclusive style watchers. When sister Angela was asked about upcoming Pastry shoe updates, I was sweetly directed to their full website to which the latest news is revealed. Having descended from a Rap pioneer with a whole “A” list of celebrity family/friends such as Kimora Lee Simmons and Usher Raymond, the Angela+Vanessa team are no strangers to high fashion hip hop. Their red carpet appearances reflect sophisticated urban taste as Essence, Jet, and Honey Magazine illustrate. Now Bronze gets a turn! Glad to see that they’re still doing it up big!! I was watching the reality show when they were first starting out. Wow…good to know they’re still around. Young, Black and Fabulous women!! 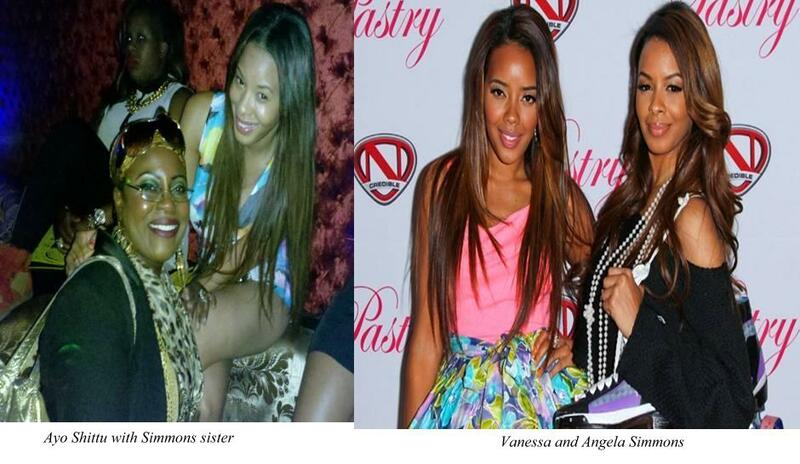 Reading: Vanessa and Angela Simmons give us Pastry!